Freemasonry is alive and well in Somerset, MA. 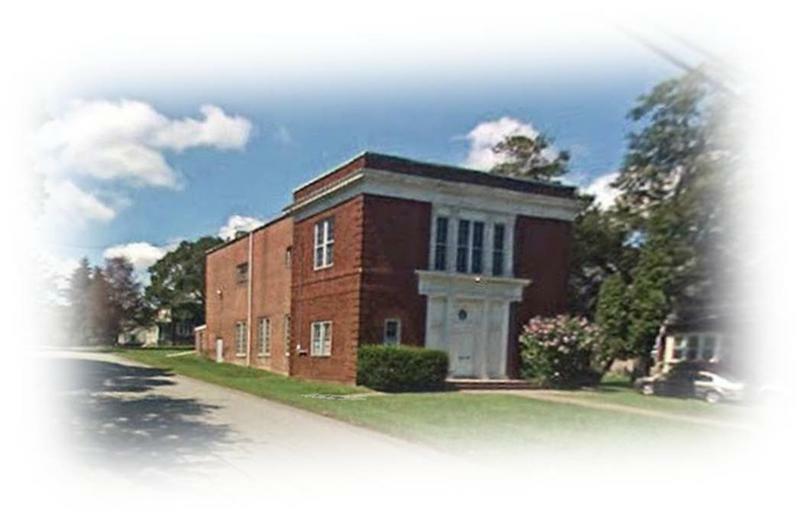 Pioneer Hall is the Masonic home of Pioneer Lodge - part of the 16th District of the Grand Lodge of Massachusetts. Pioneer Lodge AF & AM was Constituted in 1864. 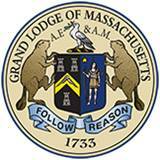 The Lodge is located at 145 Pleasant Street in the quaint Village of Somerset Massachusetts and meets the 1st Monday of each month. Meetings gather at 6pm. Brother Otis G. Manchester Jr.
Otis Manchester of North Port, Fla. always wanted to go to sea and see the world. His father had served in the U.S. Navy during World War I and he volunteer for the Navy a year before the start of the Korean War. After graduating from boot camp at Great Lakes Navel Processing Center outside Chicago in early 1949, Manchester went home on leave for a few days and then took the Santa Fe Railroad west to San Diego, Calif. It was where we went aboard the USS Antietam, a World War II Essex Class carrier. “We took a short cruise aboard the Antietam, CV-36,” the old salt said. “It was her last cruise before we put her in mothballs after World War II. “I served as a fireman apprentice aboard the Antietam. It was my job to help run the generators and the boilers in the engine-room. We came back from our first cruise after several weeks and returned to Hunter’s Point, near San Francisco, where we helped put the Antietam in mothballs. Manchester got just what he did not want, shore duty with the mothball fleet outside San Diego where some 200 ships of the line lay rusting at their anchor chains. “Our job was to inspect the ships in mothballs and write reports about their condition,” he said. “We spent many hours standing watch and walking the decks of these ships with a night stick in one hand and a clipboard in the other. ‘It was a pretty soft job. I worked in the office filling out paper work for a couple of officers much of the time. While I was working I had my own radio I could play any time I wanted,” Manchester recalled 50 years later. After the outbreak of the Korean War, in June 1950, some of the ships in the mothball fleet went back to sea. He applied for positions aboard all of these ships but came up empty-handed. “We were sent there to help build the American airbase at Thule. This was the summer of 1951 and the United States was building the “DEW Line”–a string of airbases and radar stations as protection against possible incoming Soviet missiles,” he said. “Although we arrived in the spring the Coast Guard had to send an ice breaker out to us to break the ice so we could make port. I remember when the Coast Guard got close to our ship they were playing ‘Anchors Away’ over their loud speakers for our benefit,” Manchester said. “During the summer months while we were at Thule we had to keep the ship’s engines running at all time so we wouldn’t get iced in. There was no darkness, it was daylight all the time up there,” he said. When they returned in the fall to Norfolk, the Belle Grove became floating transportation for thousands of U.S. Marines sent to Guantanamo Bay, Cuba for landing practice. They took boat after boat of Marines down to Cuba to assault the beach at Guantanamo. 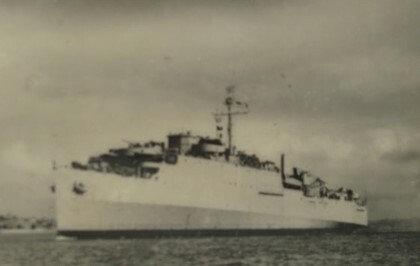 It was October 1951 and Manchester was looking forward to getting out of the Navy after three years of service. “Unfortunately President Truman extended my service in the Navy an additional year because of the Korean War. At that time, I did not have much respect for the President because of that. Since then I’ve decided Truman was one of our great presidents, he was quite a guy,” Manchester observed. Shortly after his service time was extended, he was reassigned to the USS San Marcos, another LSD. His rating was Machinist Mate 2nd class. 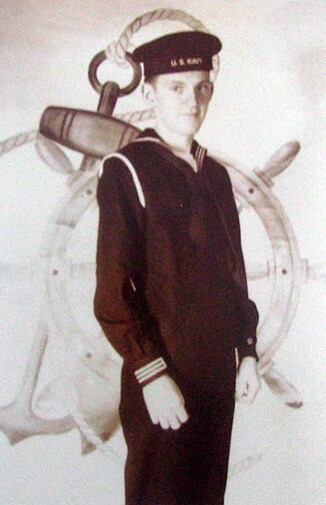 For his last year aboard the San Marcos, Manchester became a Navy tourist during a world cruise in which his ship took part. At the conclusion of his three year, 11 month and 26-day Naval career he went back to night school and eventually ended up at Wentworth Institute in Boston learning to become a machinist. After graduation two years later, he went to work for Digital Computer in 1956. He became a tool and die maker, and worked for Hewlett-Packard for years until his retirement at 61. He and his wife, Joan, moved to North Port in 1994. They have four children: Linda, David, Nancy and Mark. Thanks to Don Moore at https://donmooreswartales.com/about-the-author/ for the article.